The sports section has been somewhat dreary in India for some time now save for cricket and the recent upsurge in football leagues. The news pertaining to Kabaddi, Hockey, and Olympics has gone somewhat unnoticed – but no longer! 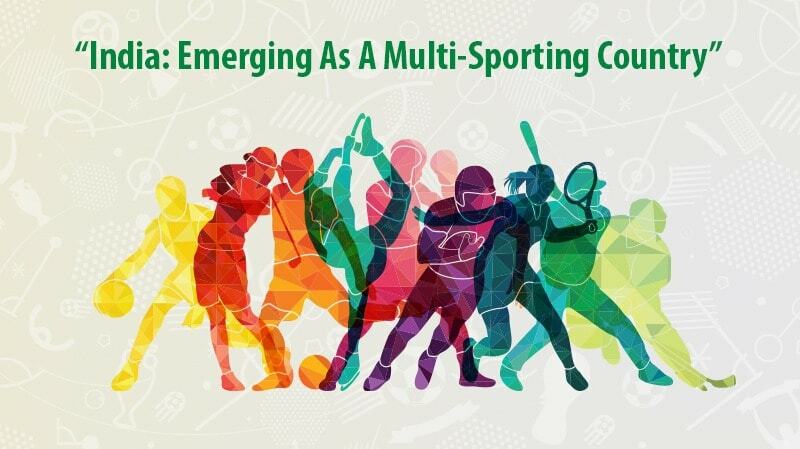 India is no longer just a cricket nation and the sports business is starting to expand along several dimensions totaling to over a billion US dollars growing at 35-40% year over year. With the advent of private organizations taking some definite interest in the sports industry either through sports sponsorship programs, there has been a definite upheaval in the industry as a whole. There is lots to be said about the business in sports and the fact that the IPL generated 480 million euros in just the last year from Twenty20 Cricket and the ISL is estimated to exceed INR 400 crores in advertisements and sponsorships alone. It is not all about money, though, as the rise in revenue streams have encouraged the setting up of more boxing arenas and rings. Sports marketing is also at a record-breaking high in India which means better exposure, better facilities, and better performance from our athletes in every sport. India exported sports goods in 2013-14 worth around 256 million dollars (US) growing about 19% annually to 24,383.97 million dollars in 2018. In recent news, India saw its Olympians bringing glory to the country in wrestling (Sakshi Mallik – bronze medal) and badminton (P.V. Sindhu – silver medal). Not only is this a huge leap from the predominantly patriarchal nature of sports in India, but an inspiration to women all around the world. This has also led to lots of excitement in the management & business arena of sports. Having better management ensures better headlines, which in turn, ensures more funding for Indian athletes. With better sports opportunities arising due to sponsorships, the Government of India has also started taking better care of its own end in the sports industry. The best part is that there are now talks of several endowments by both Centre and State to ensure that the business in sports continues to boom. The Ministry of Sports and Youth Affairs is focusing on the Ministry of Statistics and Program Implementation (MSPI) and the MP Area Development Fund (MPLAD). Specifically, MPs in India will be able to allocate more funds towards the erection of multipurpose halls, hockey turfs, soccer fields, and athletic tracks. Under the Urban Sports Infrastructure Scheme or USIS, a whopping windfall of roughly six crore rupees will be allotted towards the same. It was high time for India to start taking sports seriously and not just as fun and games. It was also time to shed the stereotype that the only sport that India is ever going to feature for is cricket. Careers in sports are finally being given the due consideration that they deserve and athletes are finally receiving support, not just from their friends and family, but from the entire general populous and the Government alike. With so many sports enthusiasts in the country, sports marketing is also bound to succeed and thrive, as is a career in the same. In a land of such immense diversity, with so many castes, creeds, religions, and cultural differences, it is comforting to know that a pump of adrenaline in someone else on the field can unite so many people. Indeed, people may have different sporting preferences, but the bottom line is that there is no doubt that a sport, any sport, can enthuse so many. The present level of India’s interest in sporting events as well as India’s performance in sports is not what it used to be – it has improved for the better. It is only to be expected that things can only keep spiraling upwards from here onwards. Sports opportunities in India are now presenting themselves in spades for athletes and non-athletes alike. It time to showcase India’s prowess to grow as a superpower in sports.